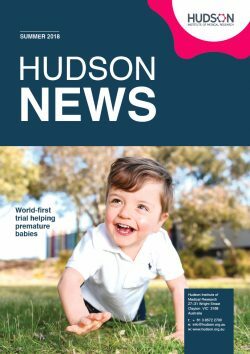 Minimising harm to babies exposed to adverse early life events such as premature birth and birth asphyxia will be the focus of a $6.12M National Health and Medical Research Council (NHMRC) funded collaborative research program at Hudson Institute of Medical Research. 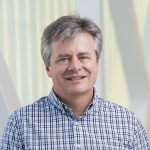 Professor Stuart Hooper, head of The Ritchie Centre in the Hudson Institute and Monash University, and its co-head, Professor Euan Wallace as well as the Royal Women’s Hospital’s Professor Peter Davis, will lead the five year (2017-21) program. The program grant is one of 96 grants announced yesterday (Thursday, March 3) by Prime Minister Malcolm Turnbull and Health Minister Sussan Ley as part of the latest NHMRC funding round, in which a total of $129.7 million was disbursed. It brings together 30 Australian and international experts in the fields of neonatology, physiology, obstetrics, as well as clinical and basic science, to find ways to minimise harm stemming from events that occur shortly before or after birth. “Adverse early life events like premature birth, perinatal asphyxia and intrauterine growth restriction can cause death or permanent disabilities like cerebral palsy,” Professor Hooper said. “What is less well known is that these events can have life-long effects, with the potential to contribute to diabetes, obesity, coronary artery disease, hypertension and mental health. The program will look to tackle some of the most challenging problems in modern perinatal medicine, such as improving the transition to newborn life for very premature babies. Researchers will examine the babies’ crucial transition to air breathing, a time when pre-term babies, and those exposed to IUGR, lung hypoplasia and birth asphyxia, are most at risk. They will also look at developing new techniques for detecting, preventing and treating neonatal lung disease, a relatively common but potentially fatal condition. “We will use a multi-disciplinary approach to understand the science and develop and optimize new treatments for improving the health and care of infants during the perinatal period,” Professor Hooper said. The research program will draw on clinical expertise, including Professor Davis, neonatologist and Director of Newborn Research at the Royal Women’s Hospital, Professor Wallace, who is Monash Health’s Director of Obstetrics and Gynaecology, and Head of Perinatal Services at Monash Health, Dr Ryan Hodges. It mobilises researchers from across Australia (including from The Royal Women’s Hospital, Royal North Shore Hospital in Sydney, Murdoch Children’s Research Institute and the University of Perth). Internationally, research collaborators are drawn from Ludwig Maximilians University in Munich, Leiden University, The Netherlands, and University College, London. The research will take place at the Ritchie Centre at Hudson Institute of Medical Research and Monash University, and at the Royal Women’s Hospital. The Ritchie Centre is located within the Monash Health Translational Precinct’s new state-of-the-art $87.5 million Translational Research Facility, the result of a partnership between the Hudson Institute, Monash University and Monash Health and designed to expedite research discoveries into patient treatments. “By mobilising the expertise of clinicians and researchers, this program represents true ‘bench to bedside’ research, and provides the best opportunity for us to find new ways to respond to adverse early life events and prevent life-long health problems,” Professor Hooper said. This news article was posted on 2 March, 2016 .